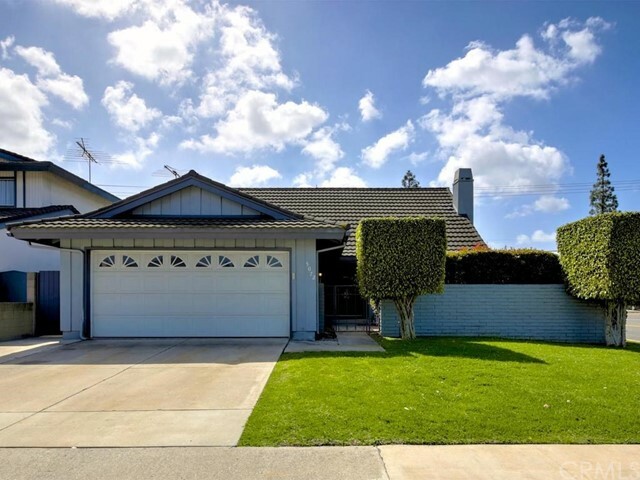 All La Palma homes currently listed for sale in La Palma as of 04/20/2019 are shown below. You can change the search criteria at any time by pressing the 'Change Search' button below. If you have any questions or you would like more information about any La Palma homes for sale or other La Palma real estate, please contact us and one of our knowledgeable La Palma REALTORS® would be pleased to assist you. "Beautifully updated 2 Story House with 4 Bedrooms plus Den and 3 Bathrooms. Front Privacy Gate and spacious Front Patio with lemon tree and beautiful flower pots. Entry Door was replaced with mahogany door. New Wood Flooring throughout entire 1st Floor, Stairway, and 2nd Floor Hallway. 1 Bedroom and 1 Bath on the 1st Floor. 3 Bedrooms and Den on the 2nd Floor. Vaulted Ceiling Master Bedroom with 2 large Mirrored Closet Doors. Master Bathroom has large Jacuzzi Bath, remodeled Glass Shower Room, and Double Sink with quartz top. 2nd bathroom on 2nd floor was entirely remodeled. Kitchen has white-wash Oak Cabinets and 3 Pantries with roll out shelves. Backyard with Waterfall and Trellis Arch. Soft water & tankless water heater." "Beautiful Ponderosa Home located in a Very Desirable Neighborhood of La Palma. 4 Large Bedrooms + Huge Bonus Room (5th Bedroom with Closet) + 2.5 Baths. Freshly Painted Interior and Exterior in Trendy Neutral Tones. Smooth-Finished Ceiling No Acoustic. Dual-Pane Windows and Sliding Doors. Recessed Lighting Throughout the House. New Carpet in Family Room, Dining Room, and All Bedrooms Upstairs. Spacious Living Room, Large Family Room with Fireplace, Formal Dining Room with Picture Perfect View of Beautiful Backyard. Gourmet Kitchen with Granite Countertops, Granite Backsplash, Center Island, Recessed Lighting, and Bay Window Overlooking the Beautiful Backyard. Master Bedroom with His and Her Closets (including a Walk-In Closet). Master Bath with Shower. Good-Sized Bedrooms (1 with Two Large Closets). Upstairs Hall Bath with Double Sinks, Granite Countertop, Travertine Shower Wall, New Tile Floor. Large Bonus Room Great for Entertaining or 5th Bedroom with Large Closet and Built-In Bookshelves. Tranquil Backyard with Designer Red Brick Columns, Covered Patio, Block-Wall Fences, Fruit Trees and Flowers. 2-Car Attached Garage with Direct Access. Walking Distance to Top-Rated Schools, Central Park, City Library, Shopping, Restaurants, and Freeway. Highly Acclaimed Oxford Academy (7-12 Grade) Through Entrance Exam. 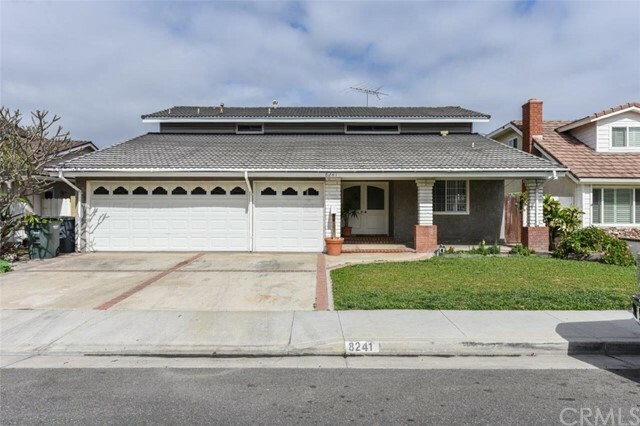 (Sold AS-IS)"
"This beautiful home is located on a cul-de-sac. All termite work and exterior paint completed summer 2018. Interior paint, cathedral ceilings, crown molding, new laminate flooring, new carpeting, custom skip-trowel ceilings by Dove Ceilings North, custom cherry wood cabinets in kitchen, den and downstairs bathroom, matching Quartz counter tops in kitchen, bathroom and dining room window seal, stainless steel appliances, separate wash room, custom teak mantle, Jenson self-closing cherry wood vanities in the master and upstairs bathrooms, master has walk in closet, separate shower and bathtub, large garden windows in master bath and kitchen, spacious two car garage with additional space for work bench and plumbed for sink, upgraded central heating and AC, large back yard. Home facing south." 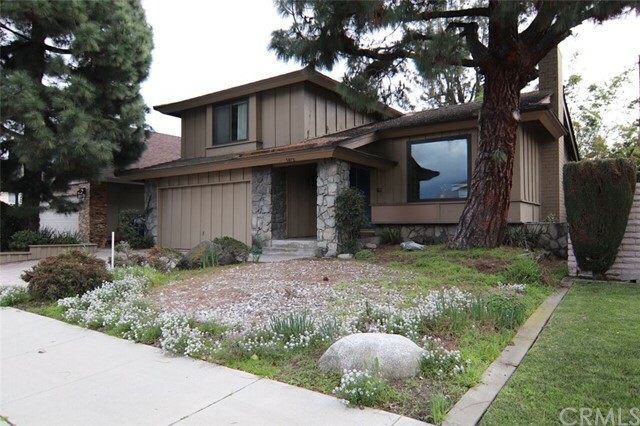 "7912 Louise Lane is a Fabulous Ponderosa Custom Home 500 Plan in The Heart of La Palma. 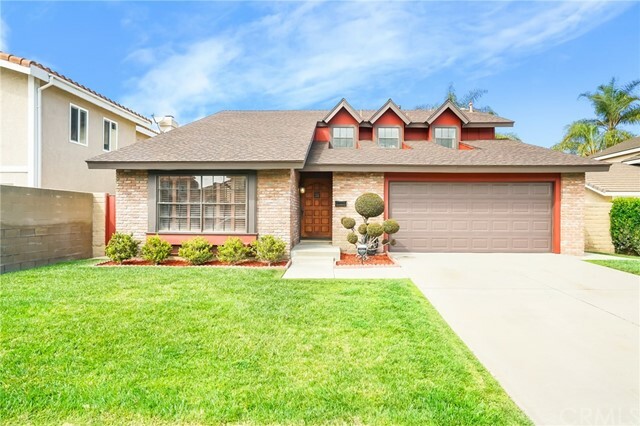 This Cul-de-Sac Home Boasts Approximately 2,100 square feet of Living Space with 4 Bedrooms, 3 Bathrooms, and a Formal Dining area. Open Concept Kitchen with views to Family Room and Backyard. The Home Lays Out Perfectly into an Open Floor Plan and is Anchored by a Cozy Fireplace in The Family Room. Crown Molding, Custom Vinyl Windows and Great Natural Light Throughout This Home. Opulent Master Bedroom Retreat and Bathroom with Dual Vanities & Dual Closets. Alternative Energy with new Solar Panels, Two Car Attached Garage with your own private Driveway. Great Entertainers Backyard with Pool and Plenty of Room for Friends & Family to Enjoy. 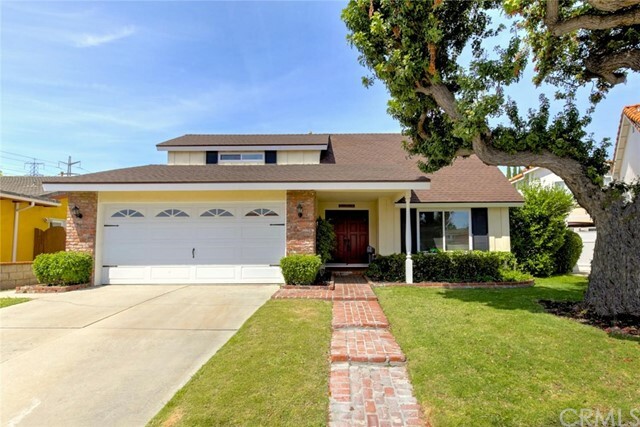 Close to Cerritos, Buena Park, Cypress, Movies, Los Cerritos Center, Performance Arts Center, Fabulous Restaurants, Nightlife, Award Winning Schools and Easy Freeway Access. No HOA and No Mello Roos." "Four level with lots of room. 2 fireplaces. Large bonus room down stairs and recently updated, water heater, heater and AC. A Steel roof with a 50 year warranty. Dual pane windows through out and rewired to code. The Hardwood floors have been refinished. Repainted with Flex Coat." "Executive home in the Stardust community of La Palma. 5 bedrooms with 2.5 baths. 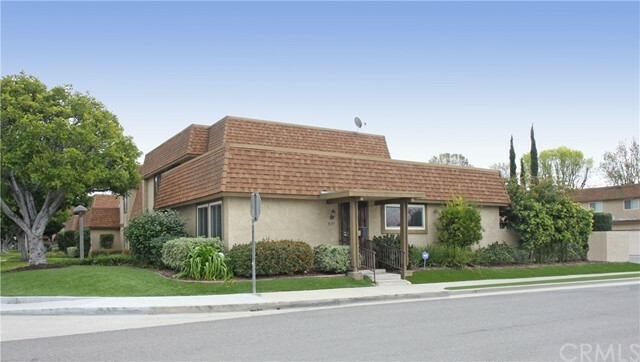 2,274 living area square feet, Remodeled kitchen with custom cabinets, granite counters, travertine floors, oven/range, micro hood, dishwasher and fridge. Spacious master bedroom with remodeled 3/4 bath. Laundry room, living room & dining room with hardwood floors, family room with fireplace and upgrades that include crown molding, ceilings fans and recessed lighting. Dual pane windows through out, central air conditioning and heating. Newer exterior paint, 2-car garage with roll up door." 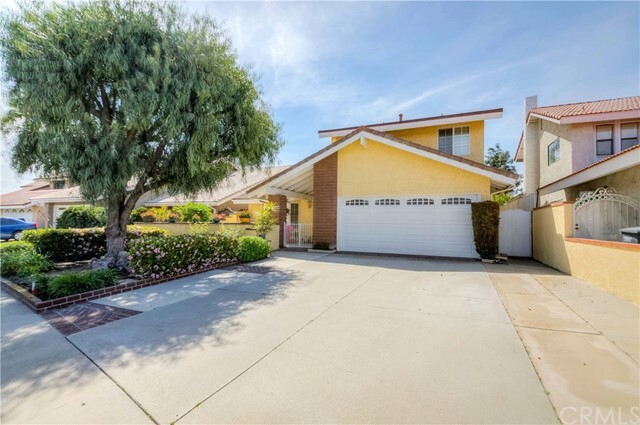 "Great Location in Ponderosa homes neighborhood of La Palma. 4 bedrooms, 2.5 bathrooms,2 attached garage. Beautiful hardwood flooring throughout the downstairs. Newer dual-pane windows. Remodeled kitchen with new cabinets and granite counter top. Crown molding , Family room has a cozy fireplace. Beautifully landscaped back yard is leading from the family room through the sliding door. Formal Dining Room ,Large size covered patio , 2 car attached garage with direct access and laundry area. Top-Rated schools conveniently located to parks,amenities, freeway access, and much more"
"This ideal home is located at the desirable La Palma neighborhood with walking distance to award winning schools -- Steve Luther Elementary School (K-6), Walker Junior High School/Oxford, and John F. Kennedy High School/Oxford. Convenient to shopping, dinning, world class parks, and libraries. Large bedroom and full bath downstairs. New interior paint throughout the house. New carpet upstairs. New floor covering downstairs with a beautiful view to the relaxing backyard. Large private patio provides Jacuzzi, fish pond, and mature landscaping. The 3 car garage has extra bonus space for storage. Make this be your wonderful home!" 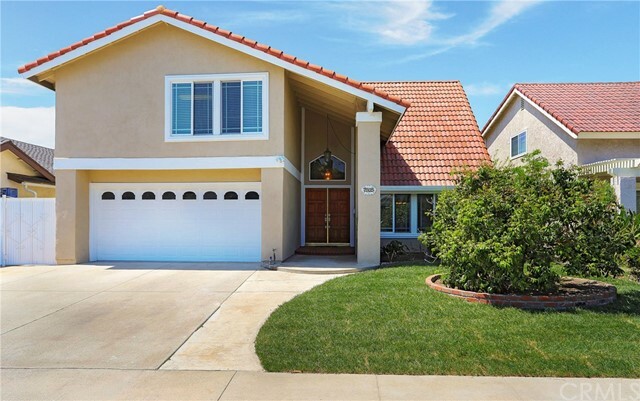 "THIS LARGE FAMILY HOME HAS 5 BEDROOMS, 3 BATHS AND ADDED 300 SQ. FT. OF ENCLOSED PATIO, NOT INCLUDED IN THE SQ. FT. (this area is permitted as a patio). Amenities include: Newer concrete roof, Newer designer double-pane windows throughout, New heater and central air, New fireplace in and outside with gas fire and rock, new water heater, fresh paint in and out and ceiling to floor, hardwood floors in some of the upstairs bedrooms and stairs have been reconditioned and Cozy and private front courtyard, covered patio area in back with beautiful grass and plants. There are many more great features. Please enjoy the professional pictures!" "**UPDATE: NEW ROOF INSTALLED AND NEW PRICING! 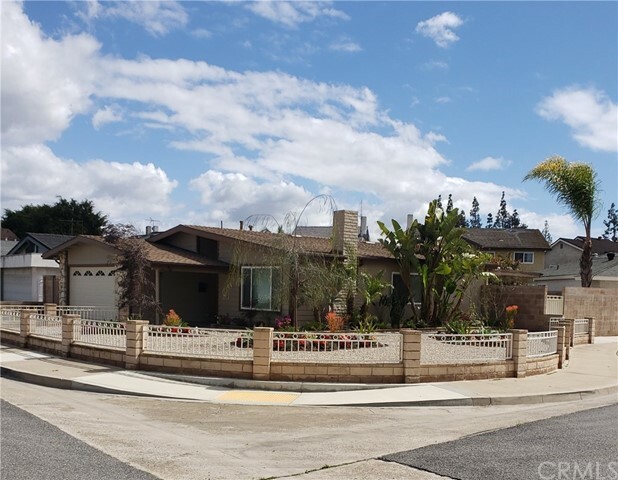 ** With its darling curb appeal and dramatic roof-lines, this fabulous Ponderosa Home Plan 401 is one of the most sought after and popular models in La Palma. Located South of Houston, this East-facing home features 4 bedrooms, 2.5 baths, 2,088 square foot and is situated on a 5,568 square foot lot. The double entry doors open for a grand entrance with the high ceiling foyer. The formal living room off the entry leads into the dining area which has windows overlooking the backyard space. The open concept kitchen and family room has a slider and windows that also open to the backyard. This area of the home is family favorite for gathering. 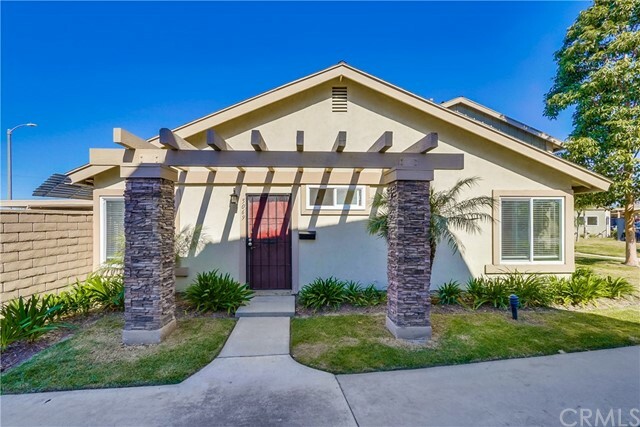 Sitting on the West-side of the home, with plenty of grass, a darling playhouse (or storage) and privacy the backyard makes for perfect California living and fun. Downstairs there is also a guest bath and direct access to the garage. Upstairs you have the master retreat with a private bath and 3 secondary bedrooms and a hall bath with dual sinks. All bedrooms have abundant closet space. The windows and slider have been updated and the roof will be replaced prior to close of escrow with composition shingle. Don t forget about the exceptional schools that add to the value of this amazing home, with Miller Elementary, Walker JHS, Kennedy HS and with testing, Oxford Academy." "Great home in a great location. Completely redone inside and out, new roof, new pex piping, new heating and air conditioning, fresh siding, new windows, new kitchen, new baths, new garage door, etc, etc. Freshly rehabbed and landscaped...ready to move in and enjoy. Open floor plan, great for entertaining. Formal living room opens to entry hall and breakfast nook, family room (or could be used as a formal dining room ) off of kitchen with all new cabinets, a breakfast bar and quartz counter tops, the main house contains 3 bedrooms and 1 3/4 bathrooms, the 4th bedroom and full bath have their own private entrance, great for extended family, office, etc. . The exterior has been professionally landscaped (low water usage design). Must see this beautiful property." "Popular (Smoke Tree) Town Home Community with a very reasonable LOW HOA of 230 MONTH: Features Two Car Attached Gar* Court Yard / Covered Patio Two Community Pools and Recreational Room*Spacious Living 1315 Sq/Ft : All New Flooring T/ O : Remodeled Kitchen : Central AC / All Bdrms upstairs: Walking distance to Walker Jr. High / Kennedy High School: RV PARKING with additional $20 Mo. Fee. and MUCH MUCH MORE:"
"This beautiful 2 story town home sits in the tranquil city of La Palma. First floor has newer carpeting, crown molding with a half bath. The kitchen has tile flooring and stainless steel appliances. Dining area leads out into the patio that is covered with newer painted wood. The patio leads out to the two reserved covered parking spots. The second floor holds the 3 bedrooms with carpeting and a full bath with tile. 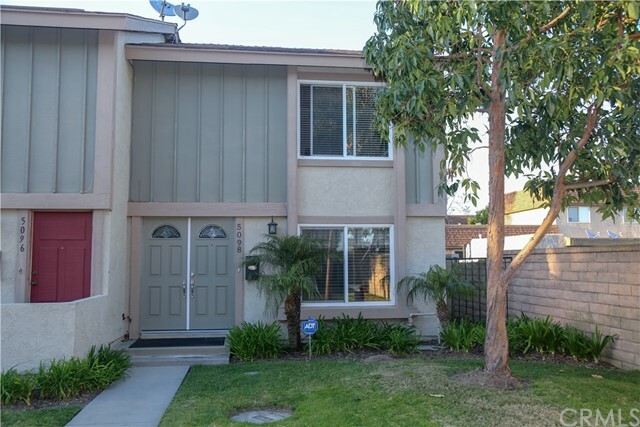 Being in close proximity to Kennedy High school, Oxford Academy, and Cypress College. Also Minutes away from the Los Alamitos Race Track. This home is ready for the next family. 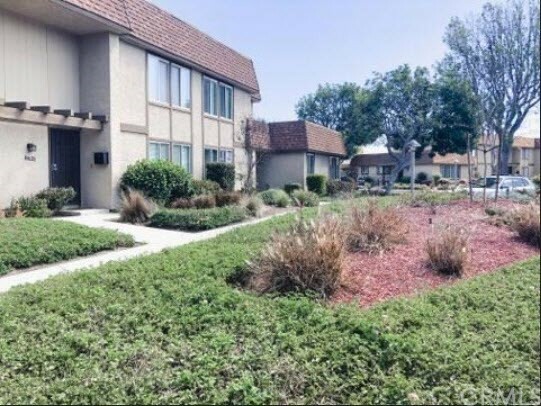 HOA is $250, includes landscaping and Pool Amenities." "Absolutely Stunning, Highly Upgraded Single Story End Unit PUD in La Palma Village. 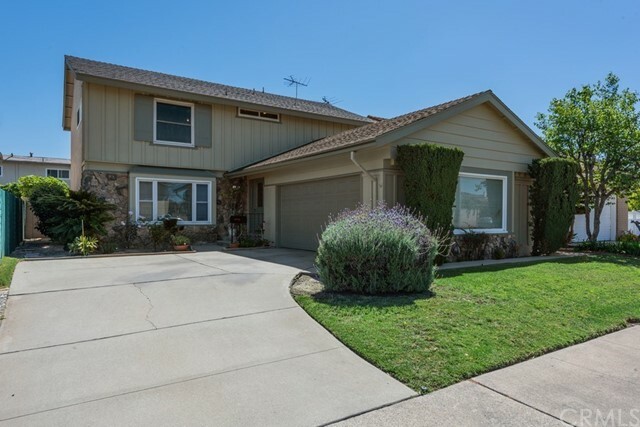 It has 2 Bedrms, 1 Extra Large Bathrm, 925 SF, a Large Private Patio & a 2-Car Garage. It Boasts: Beautiful Strand Woven Bamboo Flooring Throughout, Anderson Dual Pane Windows/Sliders, Custom Window Blinds, Smooth Textured Ceilings, Ceiling Fans, Newer Door Hardware, Custom Built-Ins in Both Closets, Stacked Stone Fireplace in the Lovely Living Rm, Spacious Dining Rm & Completely Remodeled Kitchen that Features: Granite Countertops, White Subway Tile Backsplash, Samsung Stainless Appliances (Stove, Micro), Recessed Lighting, Sola Tube Light, 13 Porcelain Tile Flooring, Custom Ebony Cabinetry, Stainless Sink w/Kohler Fixtures & Slider Leading to the Private Patio. The Expanded & Remodeled Bathroom Boasts Kohler Fixtures, High Efficiency Quiet Exhaust Fan, Tall Toilet, Soaking Tub, Separate Oversized Walk-In Tiled Shower w/Clear Glass Enclosure & Rain Shower Head, Designer Vanity, Decorator Lighting, Floor-to-Ceiling Tiled Walls Including Glass Mosaic Tile. There are Custom Built-Ins in Both Closets. The Tranquil Patio Features a Patio Cover, Raised Planters, Lattice Covered in Lush Foliage, A Waterfall Feature, Block Wall Fencing, & Direct Access to 2 Car Garage w/Laundry Hook-Ups. It is Steps to the Clubhouse & Resort-Style Association Pool. It is Close to Shopping, Restaurants, Park, Public Transportation & Award Winning Schools. Including Oxford Academy!" "Highly sought after single story end unit!!! This charming 2 bedroom, 1 bathroom home features central heat and air, bamboo wood flooring, recessed lighting, dual-pane windows, textured ceilings, french doors, inside laundry and a large private patio. From the patio you can access your carport with 2 personal parking spaces and storage. 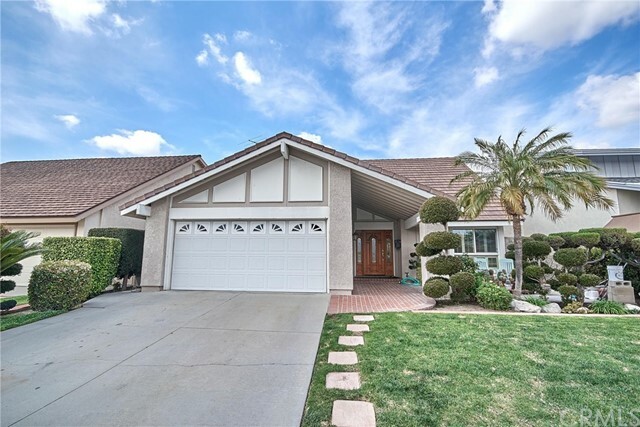 This quiet, gated community offers swimming pools, common laundry rooms, a low monthly HOA and is centrally located near freeways, shopping, restaurants and the award winning Kennedy High School, Walker Junior High, King Elementary and Oxford Academy. Hurry, these units rarely come on the market!"